Taking place during the early days of Prohibition, HBO’s series “Boardwalk Empire” looks at the bootleggers and gangsters of Atlantic City. Heading into season four, the narrative expanded into Harlem, and the Onyx Club, based on legendary jazz mecca the Cotton Club, became a pivotal locale. It also became a focal point of HBO’s campaign to get viewers buzzing about the upcoming season. Partnering with Sony BMG, HBO created “Sounds of the Onyx,” a digital, CD, and limited-release vinyl album featuring music from the Roaring ’20s remixed by contemporary artists and producers including DJ Jazzy Jeff, Om’Mas Keith, and Shafiq Husayn. 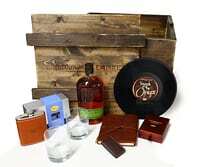 HBO delivered the album in branded liquor crates, along with a custom bottle of rye, whiskey glasses, a hip flask, and other paraphernalia that would have been popular with the program’s characters, to prominent celebrity fans, members of the media, and bloggers. Mariah Carey, LeBron James, Wiz Khalifa, Howard Stern, Justin Timberlake, and Pharrell Williams were among the lucky recipients. The boldfaced names did indeed appear to influence people to tune in. The season four premiere averaged 2.4 million viewers in its regular-timeslot telecast, exceeding the average episode viewership of the previous season. Among African Americans, viewership rose 14%, and the demographic made up 18% of the audience for the season, the largest proportion of any season to date. HBO was jazzed enough about those numbers to renew the series for a fifth season. 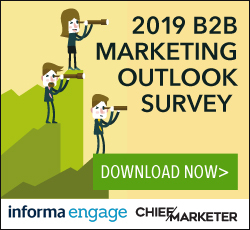 Campus Agency SET Infinity Marketing Team, Inc. Periscope The Mars Agency Ignited Legacy Marketing Don Jagoda Associates Concept One Communications HMT Associates, Inc.